Well before the far-right resurgence that has most recently transformed European politics, Austria’s 1999 parliamentary elections surprised the world with the unexpected success of the Freedom Party of Austria and its charismatic leader, Jörg Haider. The party’s perceived xenophobia, isolationism, and unabashed nationalism in turn inspired a massive protest movement that expressed opposition not only through street protests but also in novels, plays, films, and music. 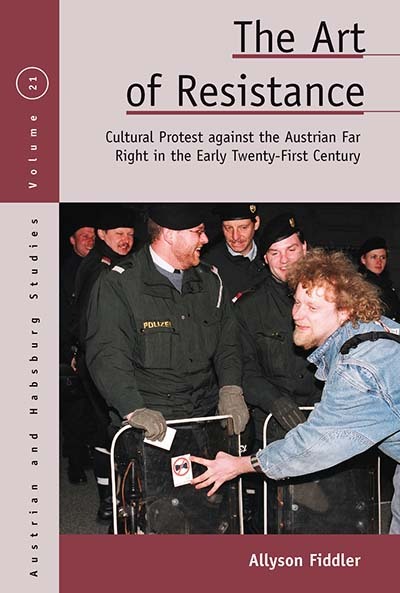 Through careful readings of this varied cultural output, The Art of Resistance traces the aesthetic styles and strategies deployed during this time, providing critical context for understanding modern Austrian history as well as the European protest movements of today. Allyson Fiddler is Professor of German and Austrian Studies at Lancaster University and one of the foremost scholars on the work of Nobel laureate Elfriede Jelinek. Her books include Rewriting Reality: An Introduction to Elfriede Jelinek (1994) and 'Other' Austrians: Post-1945 Austrian Women’s Writing (1998).